Nothing beats a bike for touring. Seeing the country from the saddle delivers the perfect balance of speed and efficiency. And from sea to shining sea, the United States offers unforgettable tours that vary in every way from the length of riding and the sights seen. Here are a few of the best America has to offer. The Tour of the Moon was the Queen stage in the historic Red Zinger/Coors Classic bike race and was also featured in the movie American Flyers. The event introduced Americans to bike racing and even inspired the Tour de France to add their women’s division after the massive success of the women’s race. Its name is inspired by the lunar-like landscape: riders wind their way up, down, around, and through the green mesas, red cliffs, and tall spires of the western Colorado high desert. It’s magical. 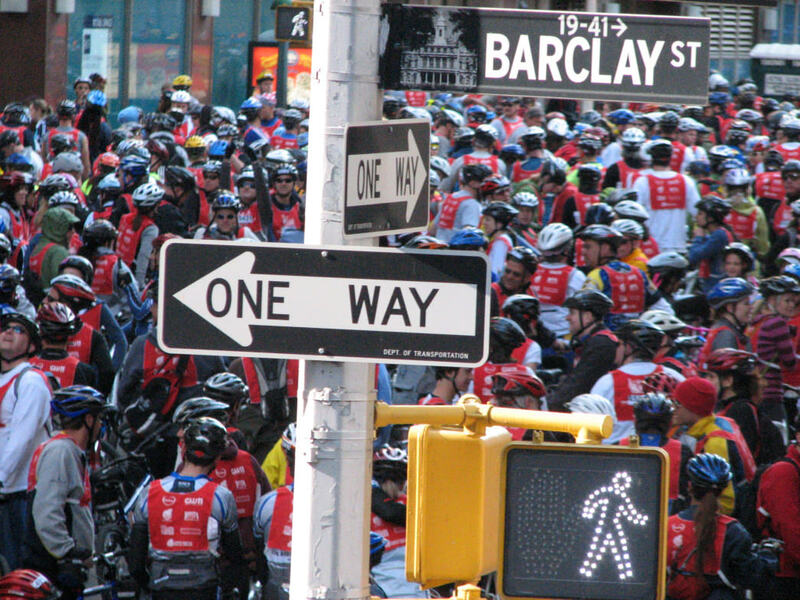 32,000 cyclists gear up and traverse all five of New York’s boroughs. Most cycling tours are about communing with nature, but in this case, the Five Boro Bike Tour is different. Every May, around 32,000 cyclists gear up and traverse all five of New York’s boroughs and up and over five major bridges. The best part? The entire course is closed to traffic. There’s nothing quite like it. The Hotter’N Hell Hundredcalls itself one of the oldest and largest cycling events in the country. The ride happens every August in Wichita Falls, Texas, bringing more than 14,000 riders together for four whole days of rides, runs, food, and music. If riding 100 miles in 100-degree heat sounds like too much, there are also shorter options. 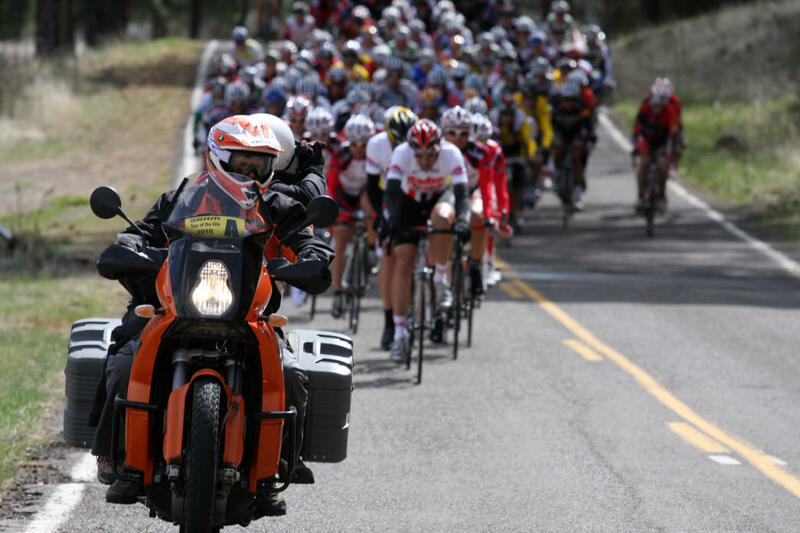 Ride like a pro for a day at the Tour of the Gila. There are two events called Tour of the Gila in Silver City, New Mexico. The first is a pro road race that happens every February, and the second is a Gran Fondo that takes place in October. The tour follows the same famous route that the race takes, allowing riders to “ride like a pro for a day.” Gliding passed stunning desert vistas, climbing epic mountain passes, and basking in the Wild West history in Silver City is a real treat. This ride rolls through some of the prettiest scenery California has to offer. Levi Leipheimer, Tour de France racer, 3-time Tour of California champ, and Olympic medalist, leads this ride every October through Sonoma wine country. Sure, the riding rolls through some of the prettiest scenery California has to offer with misty valleys, sustained, shaded climbs, and rugged coastline, however, it could be argued that the fully-stocked rest stops are the highlight. Amazing coffee, gourmet food, and an army of volunteers are on hand keeping visitors fed and hydrated. Ride The Rockies proudly features some of the most beautiful, challenging riding in the country. It climbs over scenic alpine passes, through historic mining encampments, across high-desert plateaus, and visits charming and unique towns. The ride takes place in June and the route changes every year. For 2018, it loops through some of Colorado’s most popular mountain and ski towns. Touring through Yellowstone country has postcard-worthy scenery, but this ride is so much more. More like a week-long party, riders are treated to good, down-home food, energizing live music, and plenty of other activities. It’s almost like the riding was secondary. Rest assured though, the cycling is stellar. Think prairies, mountains, deserts, big climbs, bigger descents and the wonderful weather of Wyoming in August. 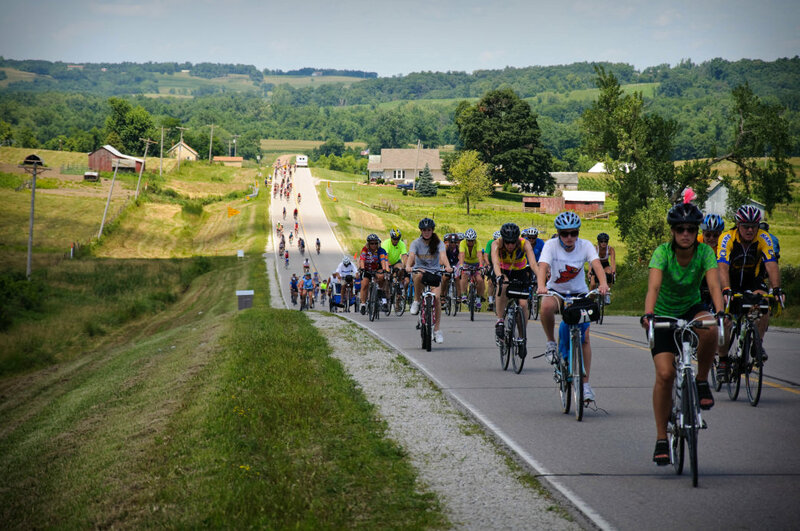 Iowa takes its biggest race, the RAGBRAI, very seriously. RAGBRAI is the largest bike touring event in the world and is probably the ride people think about when thinking big, organized tours. The route changes every year, but it’s always in July and goes from one end of Iowa to the other. Described as “Mardi Gras on wheels,” the event is huge. 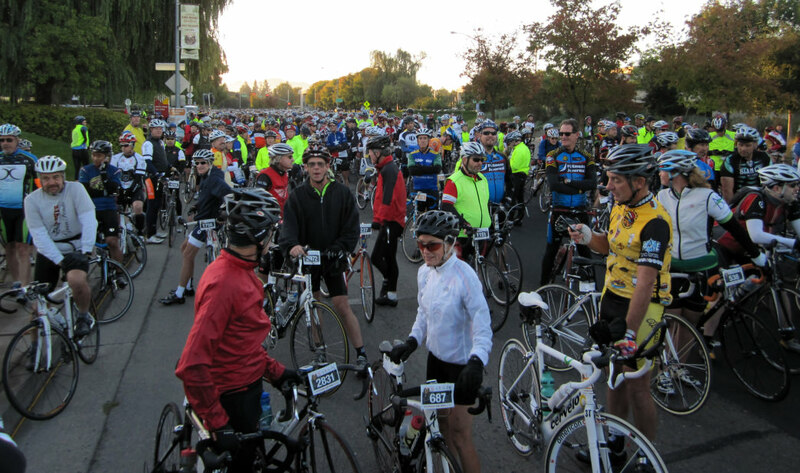 Although organizers say they cap the participants to 8,500, often there are up to 20,000 people riding on some of the stages. The state takes the tour seriously, as countless churches along the route bake pies for the riders and the host towns pull out all the stops for those resting weary legs. What more do you need? Air up the tires, fill the water bottles and grab the kit—it’s riding season. These are some of the top rides in the country, but there are fun, organized rides in almost every state. Just get out there! Written by Emma Walker for RootsRated in partnership with 37.5.